by Retired Massage Therapist Betty McKay, RN. Bodywork is not a luxury – Touch is Essential to Life. Schedule a Reiki treatment or foot reflexology session today. Some of the wonderful herbal natural remedies ~ Topical Salves for home and first aid kits. Click here to learn more about our products. Fred’s Formulas by Herbalist Betty McKay, R.N. Herbal Store offers an herbal natural remedies chest full of a wide variety of handmade blends, spritzers, teas, tinctures, and topicals from wildcrafted, home-grown, and other organic herbs. Betty is our Master Herbalist who also teaches herbal classes throughout the year. Please join us for training and initiation into the practice of Usui Shiki Ryoho. Reiki is an ancient healing art that has been used in the modern world for about 125 years. It is simple, hands-on healing that is gentle, non- invasive, and is done fully clothed, in about one hour. You are invited to come walk our Labyrinth. Labyrinths date back to prehistoric time, and are perceived as sacred space. They seem to have been an integral part of many cultures, such as Celtic, Mayan, Greek, and Native American. Today, labyrinths are still being used throughout the world as meditative and healing tools. Donna St etser, R.N. is a Master in Usui Shiki Ryoho, teaching Reiki and providing Reiki treatments for over 25 years. Usui Shiki Ryoho is the practice that honors the lineage of Usui-Hayashi-Takata-Furumoto. REIKI CLASSES: First degree, Second degree and Master Levels. 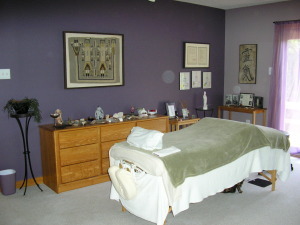 REIKI TREATMENTS at The Reiki Clinic of WNC are available at our online shop. To schedule phone 828-628-1706. Call today to care for yourself. Betty McKay, RN . 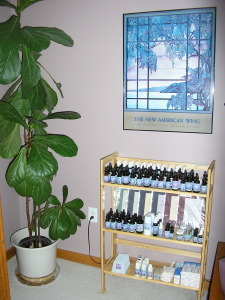 , Retired Massage Therapist, offers Foot Reflexology and Reiki in our studio or in your home. Betty has 30 years of experience and is adept at working with elders, teens, or anyone in between! She is comfortable with people who have medical conditions. Purchase a foot reflexology session or Reiki treatment today at our online shop or phone 828-628-1706 to schedule an appointment. FRED’S FORMULAS handmade Tinctures, Blends, Spritzers and Topicals at our HERBAL SHOP have been created by Betty, our resident Herbalist. Please check out our new SYMPTOMS & REMEDIES CHARTS. Betty also teaches HERBAL REMEDY CLASSES throughout the year: Spring classes focus on traditional remedies for skin and digestion, Summer classes focus on herbs for the nervous system, and the Fall class focuses on plants for the immune system. 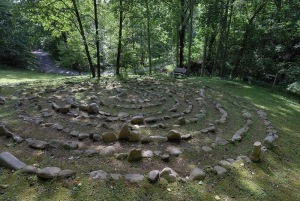 If you are looking for a RELAXING OUTING in the mountains, you may choose to walk our Labyrinth nestled among the trees in the quiet countryside. Labyrinths date back to prehistoric time, and are perceived as sacred space. When walked, it can change one’s life. Open year-round during daylight hours – no appointment necessary. For special occasions and group visits please call 828-628-1706 if you want to use the space privately. Whichever services you choose, we are confident you will enjoy your experience with us. Health, education, and complimentary medicine are our passion. Donna Stetser, R.N. and Betty McKay, R.N. ~~~~~~ “I have been using Fred’s Formulas Cosmic Comfort Salve daily for many years. In my opinion, there is no finer product available for moisturizing and protecting delicate skin, and the herbal ingredients also do a wonderful job healing minor wounds and irritations. The ingredients are organic with no chemical additives. This wonderful product has been enjoyed consistently by other family members as well as the numerous 4 legged furry members of our family. I order more as soon as the jar gets to the half way mark to ensure that I never run out!